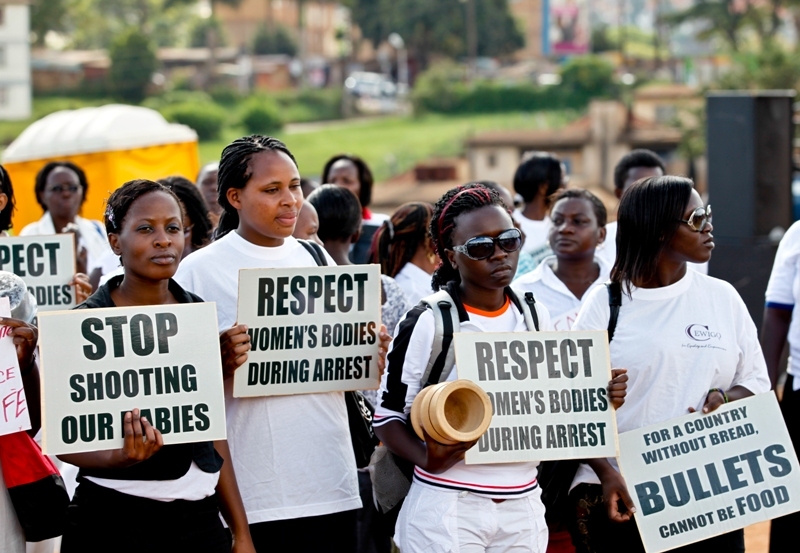 Uganda women’s civil society organizations have joined the band wagon in condemning the excessive use of force in quelling the “Walk to Work” protests over the past one month by security agencies. Fuel prices have been on the rise since last year. This has in turn increased the cost of living as almost every family basic is somehow determined by the cost of fuel. 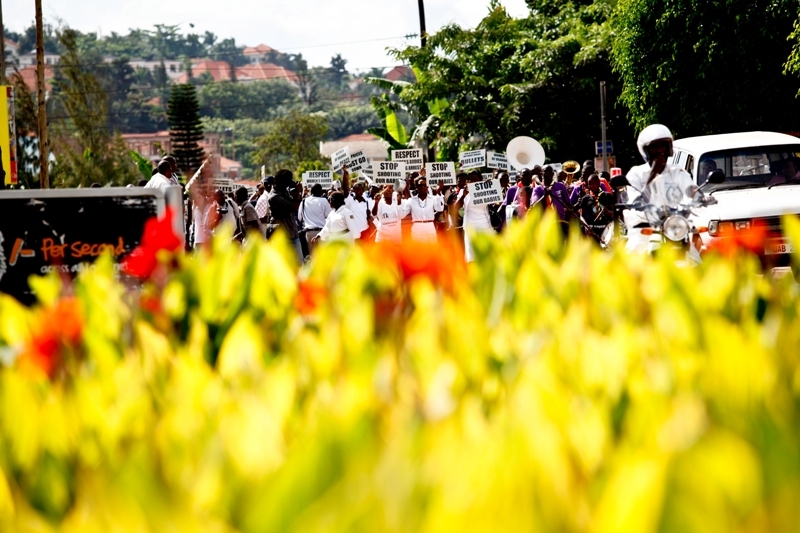 Over 10 women organizations among others, URINET, UWONET, FOWODE joined hands and walked from Kiira road playing ground, through Kamwokya, Yusuf Lule road, John Bahiiha Avenue and back to the starting point at Kiira road. Charcoal, one of the main sources of cooking in Uganda has more than doubled in price. 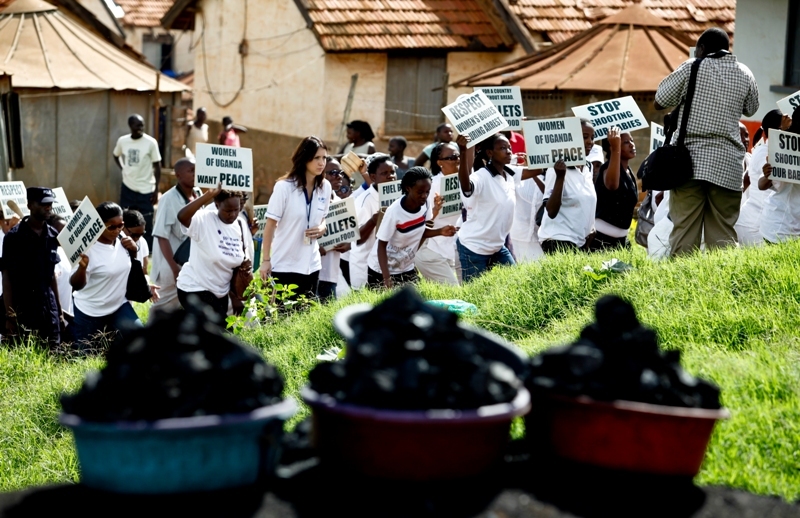 In 2008, a sack of charcoal cost about Ushs. 15.000 ($6), today the same quantity cost about 36000 ($ 17). 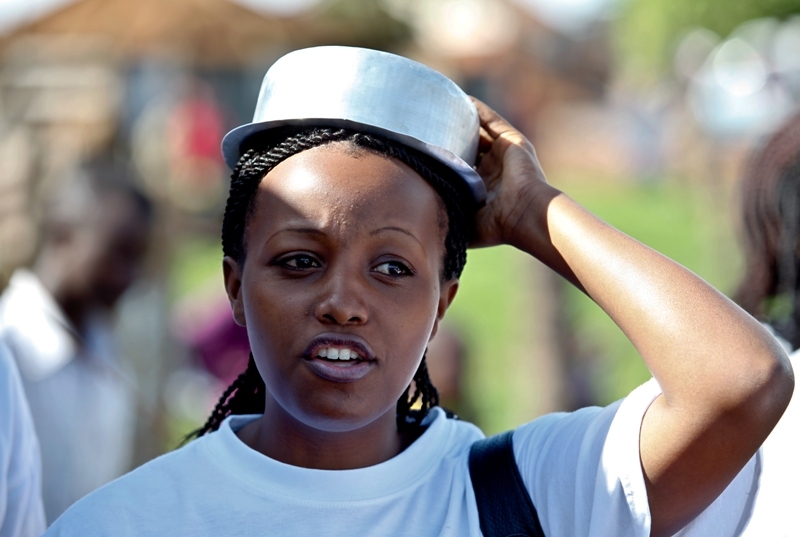 The women dressed in white, signifying peace, carried placards and empty sauce pans as well. 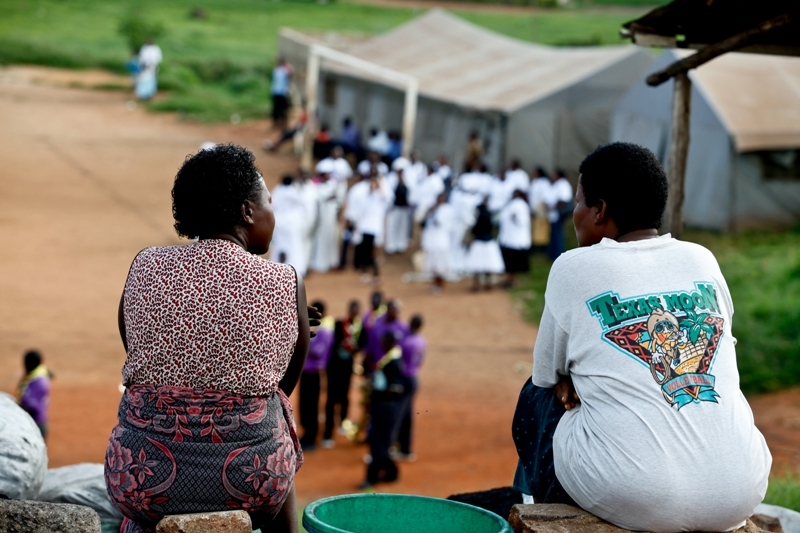 Roadside charcoal vendors chat away while watching their fellow women in the foreground who belong to the Uganda women's civil society organization prepare to march to voice their concerns on the rising cost of food and fuel among others. “We are carrying empty saucepans because we no longer have the money to buy food,” Achiro Ritah, Executive Director UWONET said. 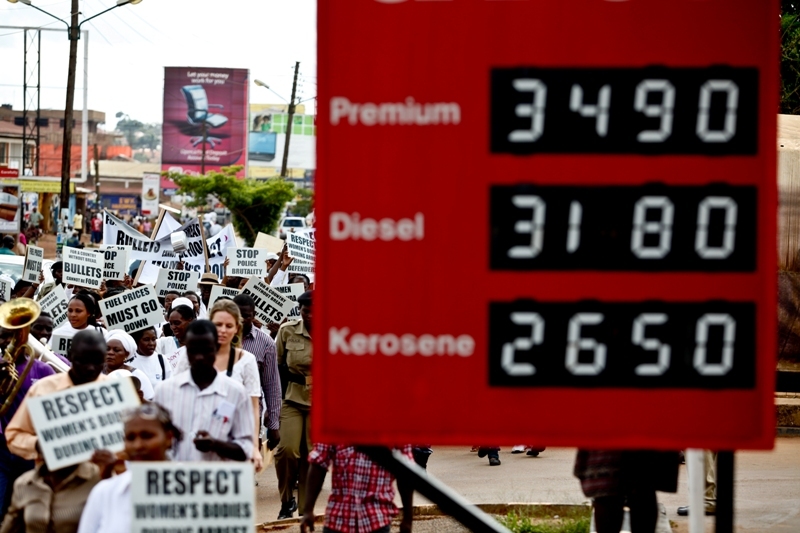 Women subscribing to the Uganda women's civil society organizations march along Kiira Road with placards screaming various concerns such as high food and fuel prices. The women expressed profound disappointment with government’s indifference, exhibited by the lack of urgent action to curb the situation and apparent disregard of pressing priorities in allocation of governance expenditure. dont you think is to laet the (Muzee) swering in is Thursday aftr that what they can do . I love your pictures! They are really good! Anne,thank you.thank you very much!